There are so many good Thai Restaurants all up and down the Gold Coast. Following is a list of Thai Restaurants all over the Gold Coast, Queensland Australia. Chiangmai Thai Restaurant (1 review) Crown Towers 5 - 19 Palm Ave Surfers Paradise Ph: (07) 5526 8891. Open for dinner 7 nights a week from 5.30pm - 10pm. 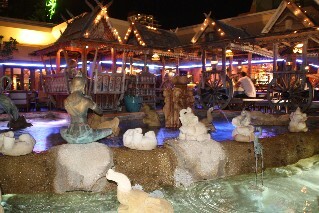 For restaurant reviews for Chiangmai Thai Restaurant Surfers Paradise click here. 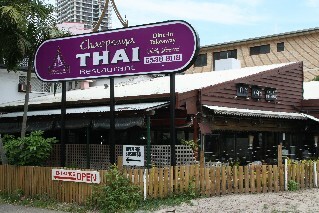 Chaopraya Thai Restaurant (reviews) Cnr Frederick St and Surfers Paradise Blvd Surfers Paradise. Ph: (07) 5538 8118. Open 7 nights for dinner 5pm - 10pm. For restaurant reviews for Chaopraya Thai Restaurant click here. Siam Orchid 1878 Gold Coast Hwy Burleigh Heads QLD 4220 Ph: (07) 5520 5999. 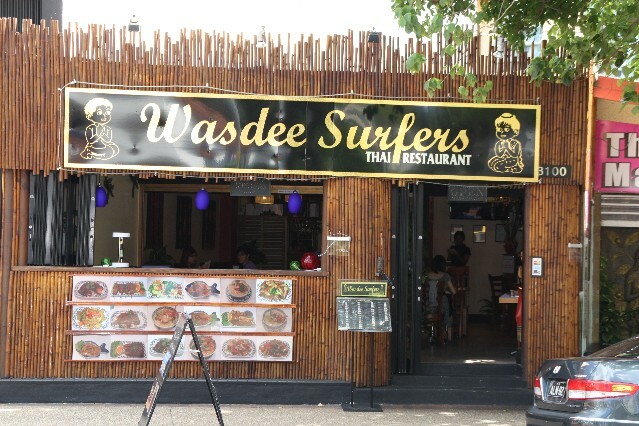 Wasdee Surfers Thai Restaurant (2 reviews) Shop 1 3100 Surfers Paradise Blvd Surfers Paradise. Ph: (07) 5538 2221. For restaurant reviews for Wasdee Surfers Thai Restaurant click here. Lemongrass Thai Restaurant Shop 6 26 Tedder Avenue Main Beach Ph: (07) 5528 0289. Open for dinner 7 nights 5.30pm till late. BYO (wine only) and licensed restaurant. 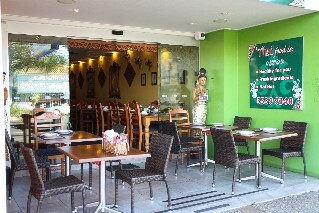 Chiangmai Thai Restaurant 2779 Gold Coast Hwy Broadbeach Ph: (07) 5538 2144. Bangkok Thai Emerald Restaurant 2580 Gold Coast Hwy Mermaid Beach Ph: (07) 5592 1229. Licensed and BYO (wine only). Their dining room has a balcony with view over the ocean. 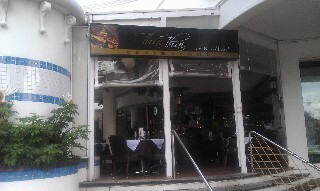 Chiang Mai Thai Restaurant (reviews) 1-2/28 Chairlift Ave Nobby Beach Gold Coast Ph: (07) 5578 5211. Open for dinner 7 nights per week. For restaurant reviews for Chiang Mai Thai Restaurant click here. 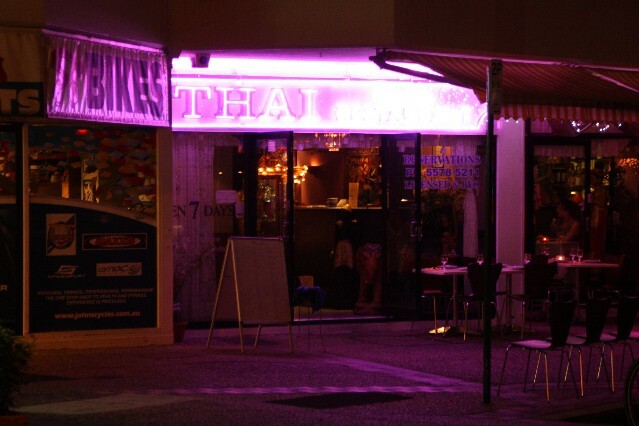 Bangkok Thai Restaurant (reviews) 62 Thomas Drive Chevron Island Surfers Paradise Ph: (07) 5539 9348. Open for dinner 7 nights a week from 5.30pm. For restaurant reviews for Bangkok Thai Restaurant click here. Basil Thai Restaurant 2243 Gold Coast Hwy Nobby Beach Ph: (07) 5572 7800. Siam Orchid Thai Restaurant 12-13 Hollywood Plaza Siganto Drive Helensvale Gold Coast. Ph: (07) 5502 9770. Open for lunch Tues - Fri 11.30am - 2.30pm. Open for dinner 7 nights 5pm - 9.30pm. Kin Koa Thai Restaurant 8/217 Ron Penhaligon Way Robina Ph: (07) 5578 9959. Open for lunch Tuesday to Friday 12 - 2.30pm. Open for dinner Tuesday to Sunday 5pm - 9.30pm. Thai Baan Pong Restaurant 2376 Gold Coast Hwy Mermaid Beach Gold Coast. Ph: (07) 5572 3441. Lime Leaf Thai Restaurant Aqua Building 300 Marine Parade Labrador Ph: (07) 5531 1780. Open for dinner 7 nights per week from 5.30pm till late. Fully licensed and BYO (wine only). With great views over Broadwater.